Part of Australia’s magic is that while snow nestles against rocky peaks, and dripping jungle throbs with life, desert sands could grill a T-bone steak. But the distances are great: you can’t have it all at once. Last week I was in the Mornington Peninsula, an hour or so drive south from Melbourne and their particular wizardry is wine. Within a 20 km radius, at least 50 vineyards offer tasting, tours, restaurants and cellar sales, including hand-crafted artisan wines in family-run wineries – a gourmet’s paradise. (If you nurse a degree of snobbishness in your palette, be aware that Australian wines have pretentions to grandeur: in the duty free shop in Auckland airport was a single bottle priced at NZ$559 (roughly £300) – no, that’s not a typo). 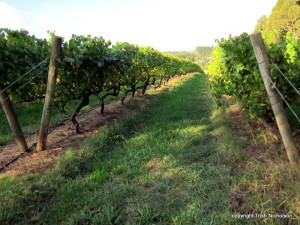 A world away from city wine racks the intimacy of these vineyards lets you sip wine from the third vine on the left before trying the fourth one down on the right. Lush names swirl over the tongue: Pinot Noir, Shiraz, Chardonnay and Cabernet Sauvignon. For lunch or dinner it is essential to book and bring a well stacked wallet – some venues charge $70-$80 for a one-platter deal. 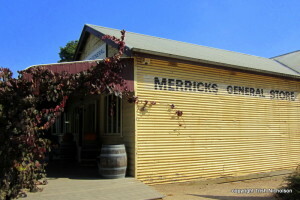 We settled for lunch at Merricks General Store. Now a wine cellar and restaurant with 80+ covers, it began in 1924 as a shop and post office serving the scattered rural community. On previous visits to the area years ago I bought bread, coffee, handicrafts and birthday cards there, and being protected as historic heritage, it has retained its traditional appearance. They still sell milk and stamps during the week, but this time, I bought freeze-dried strawberries coated in thick dark chocolate to accompany the wine. And what better place to enjoy it than my friend’s terrace. Next summer, she’ll be able to pick grapes without getting out of her chair. 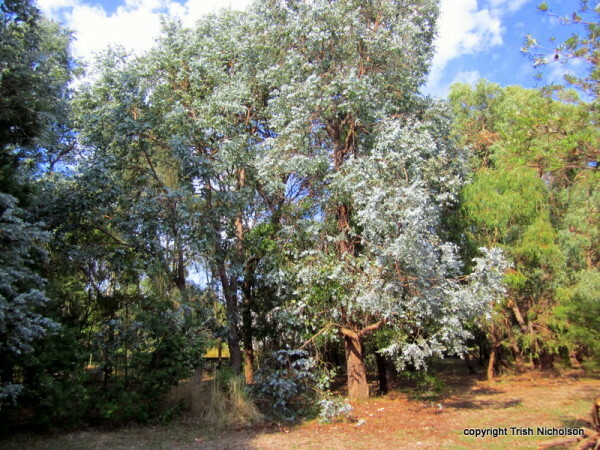 I walked-off my lunch around the garden, under some of the trees I saw planted ten years ago and now towering overhead. 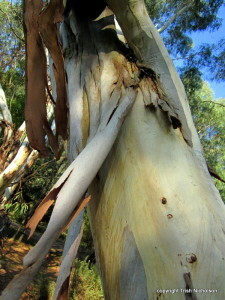 By the way, there is nothing wrong with this naked tree, some gums are natural ‘strippers’, shedding bark like a snake sloughs off its skin. 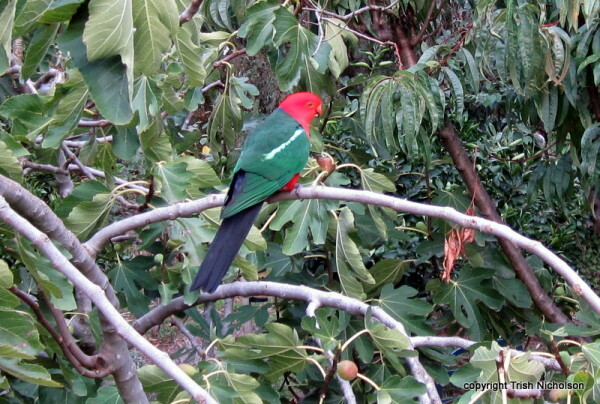 With spot-on timing, a King Parrot posed for me in the fig tree. Equally colourful is the Cubby House, a favourite place to exercise teenage independence. A downside of the farming boom is destruction of native habitat. Koalas, such fussy eaters that only certain Eucalypts will suit them, are rare in the area now, but on an earlier visit these cuddly-looking, razor-clawed marsupials were a common sight on my friend’s property. 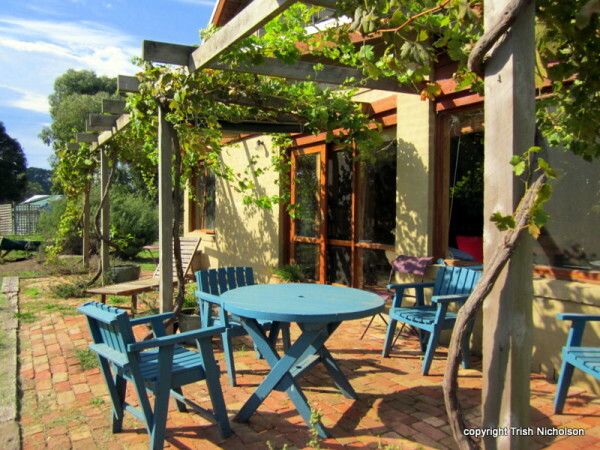 Mornington Peninsula is long and narrow – a beach never more than a few kilometres away – with many small communities sporting such evocative names as Rosebud, Sorrento, Mount Eliza and Bittern. As well as booze and berries, birds and boats are everywhere. 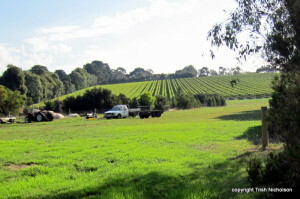 The energetic can walk along the coast, in the national park, or through the wetlands and woodlands of Coolart Reserve near Somers, exploring also the 19th century homestead at its centre. No wonder half the population of Melbourne pours into the area at weekends. Lovely photos Trisha. I never fail to be amazed at the colour of birds that fly in your part of the world. The cubby house is so cute. When my daughter was in Australia she visited woman who cared for Koala babies and she held some koalas,I think it was the highlight of her trip,she said she’s never seen such a laid back animal. Hope you took some of that wine back home with you. Hello, Anne, lovely to see you and to read your comment. I’ve never held a baby Koala, that must be quite an experience. Most of the colourful birds come from Australia, but we have the fantastic ones like Kiwi! 🙂 Glad you like the photos, you take a pretty mean pic yourself. 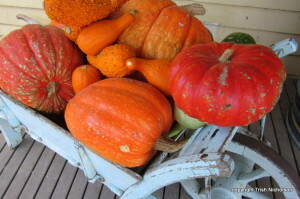 Many thanks Trish for inviting me to share your colourful journey in Oz. Sent a reply a wee while ago – didn’t go off for some reason so here I go again. 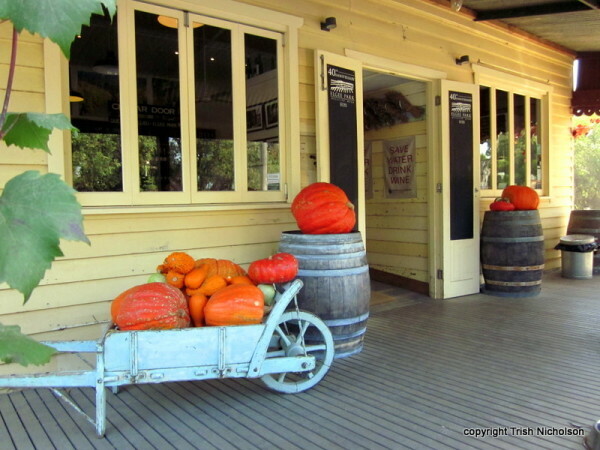 I won three weeks in Oz few years ago, traced relatives – great adventure. Love your descriptive writing style and beautifl photos. As for THAT BOOK PROPOSAL – son visited last two weeks so no REAL writing done. Laughed at the thought of £300 a bott wine. you’d need to be either drunk or blind to buy. Think I’d stick to the water – forget about saving it eh? Hello Christina, yes, your comments came through fine this time, thank you. Glad you enjoyed the post, it must have seemed quite nostalgic after you own trip – what a wonderful prize. I find that once I’ve started on a project it is easier to keep going, it seems to ‘call’. Good luck with it.